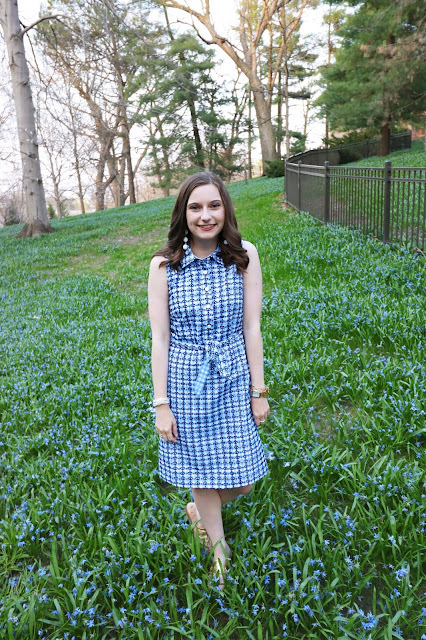 If you have been keeping track of my Instagram, you would know that I recently got back from my trip to the U.K.! We spent one very short day in London, but I was so happy to be back in my favorite city. If you didn't already know, I studied abroad in London for a semester my junior year. So, London is like my home away from home. To say I was excited to go back is an understatement! For today's blogpost I thought I would share a one day itinerary I created for our trip. Unfortunately we had basically 9 hours in London, but we got a lot done! This itinerary is perfect for if you have a lay over in London or if you are just passing through the city. 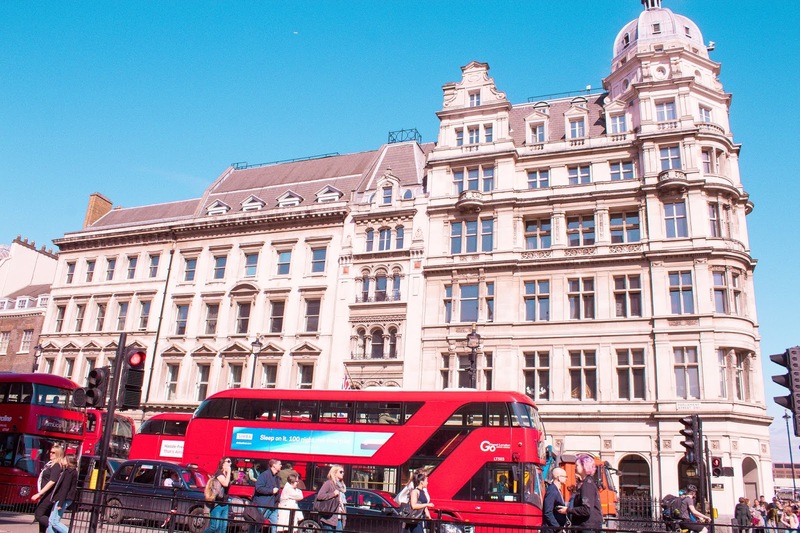 With this guide it highlights some of my favorite things to do in London, while also hitting the major landmarks. 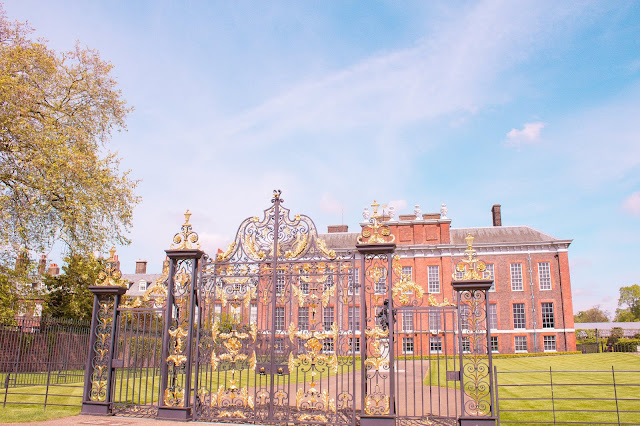 Kensington Palace | First stop is Kensington Palace. With the royal wedding being a huge buzz in the city Kensington Palace is a hot place to see. Kensington Palace is the home of Harry and Megan so obvi it is the place to be. Plus there is a memorial for Princess Diana on the grounds. Not to mention there is a beautiful park attached to the palace which is a great place to walk around and explore. The Parent Trap House | If you are a classic 90's kid and loved Lindsey Lohan in the Parent Trap you will want to stop by her house in the Kensington area! Check out the house on 23 Egerton Terrace. 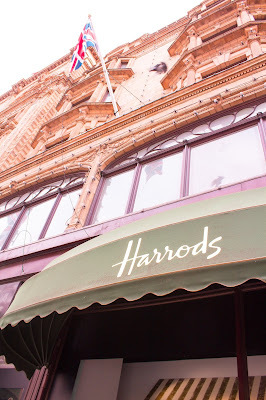 Harrods | This historic department store is a marvelous place to spend an hour or two browsing. If you appreciate fashion and high-end designers you will feel right at home. I could just look at all of the designer shops for hours! 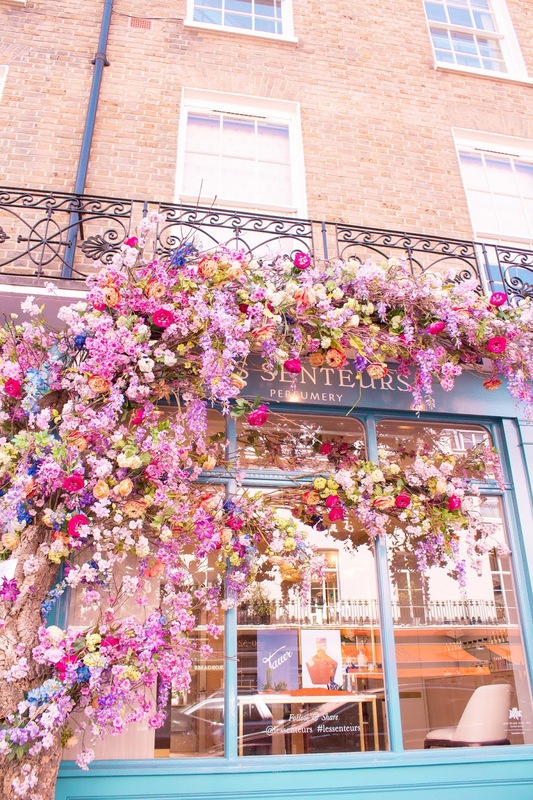 Lunch in South Kensington | South Kensington is my favorite neighborhood for many reasons. 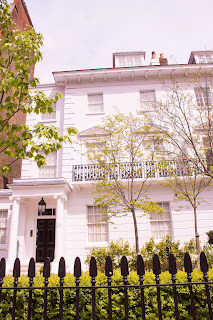 One being when I lived in London for a summer as a kid we lived in South Kensington. Another reason is that it is simply gorgeous! A favorite spot of mine is Italian restaurant Pierino. Also, you can hit up my favorite burger place Byron in the area as well. 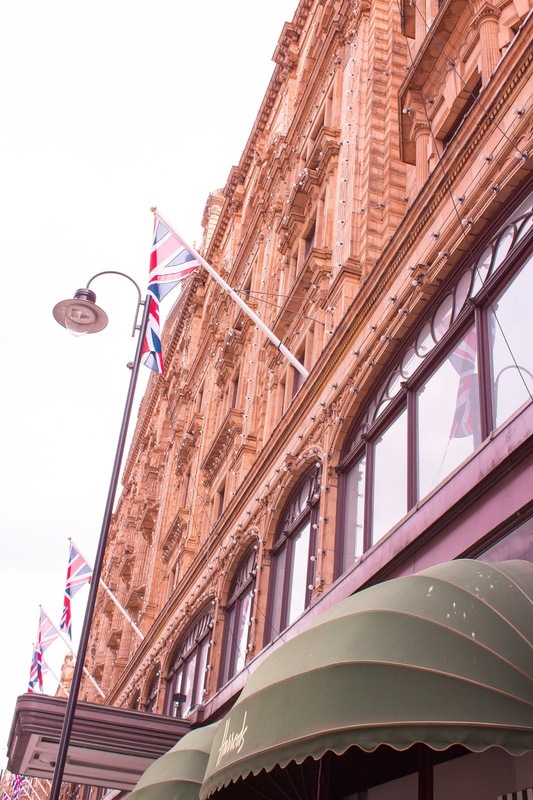 Honestly, you can't go wrong with anything in South Kensington. It is just such a fabulous area! If you want a pretty and delicious snack head to Maitre Choux for the best eclairs you will have in your life. 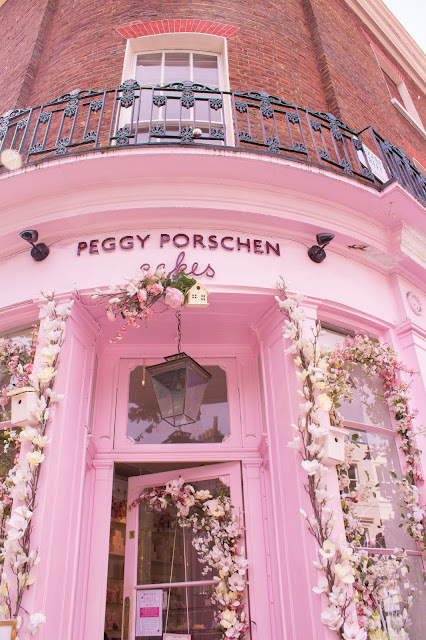 Peggy Porschen Cakes | Now for one of my all time favorite London spots, Peggy Porschen. You have probably seen this place 1,000000 times on Instagram but trust me when I say this place is 100% worth the hype. 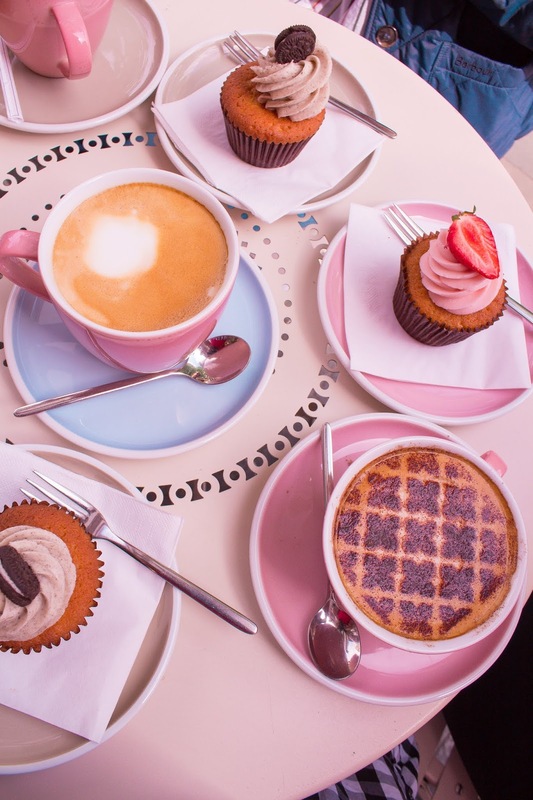 The best latte and cupcake in the city, hands down. Not only is this place gorgeous, but it is delicious as well. Plus there is some great people watching if you sit outside. No matter what time of year you go there is always amazing decor plus seasonal flavors to enjoy. If you take any suggestion of mine take this one, you'll thank me later. p.s. Don't let a line make you turn away! It is worth the wait! Browsing in Chelsea and Kensington | Chelsea and Kensington also have some great little boutique shopping spots. 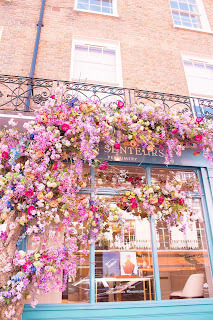 Just walk along the streets and you will find gorgeous blooms in the spring and colorful house fronts year round. You might even spot a few cool cars too. 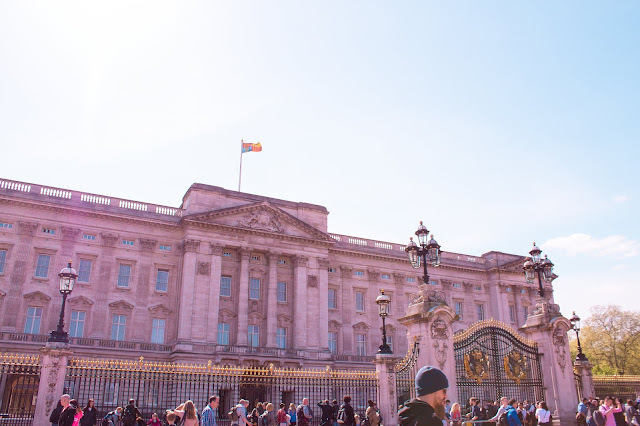 Buckingham Palace | Obviously no trip to London would be complete without a trip to Buckingham Palace. Especially with the buzz on the royal wedding this is a can't miss spot for a royalty fan. Snap a few pictures in front of the gates for Instagram while you are there. Big Ben and Westminster | A short walk away is another fabulous touristy spot. Big Ben and Westminster are right around the corner from Buckingham Palace. There is a ton of historical spots around this area so take your time to look around. This area is always crowded but don't let that stop you! While we were there Big Ben was under construction which was a big bummer. So, I do suggest if it is under construction while you are there swap this out for a look at the Tower of London. You can see the famous Tower Bridge (not to be confused with the London bridge) and the Tower of London which is a major historical spot. If you have time see both! 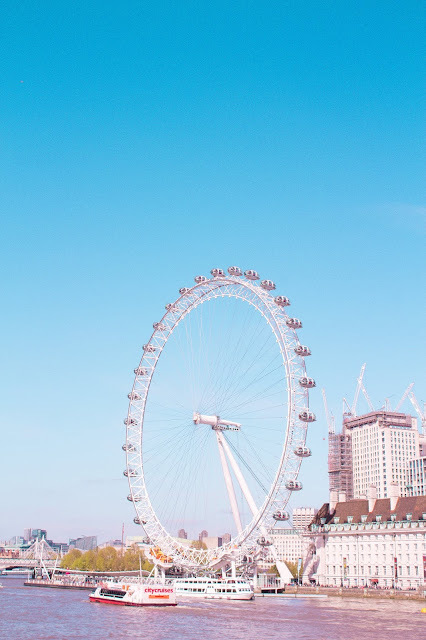 The London Eye and South Bank | Another basic tourist attraction is the London Eye. If you are in town for a few days it may be worth your time. However, for only being in London for a day or two you don't want to waste 1 1/2- 2 hours riding on a ferris wheel structure. But, it is still cool to go look at it up close and explore South Bank. There is a cultural center a little bit farther up from the London Eye that has a similar view for free! Also, if you want a great view of London check out the bar on top of the Shard skyscraper. You pay a premium for a cocktail, but it is still cheaper then a London Eye ticket, plus you get a drink! Shopping on Oxford Street and Carnaby Street | Then to top off the evening finish with some shopping on Oxford Street and Carnaby Street. These are my two favorite shopping areas in London. 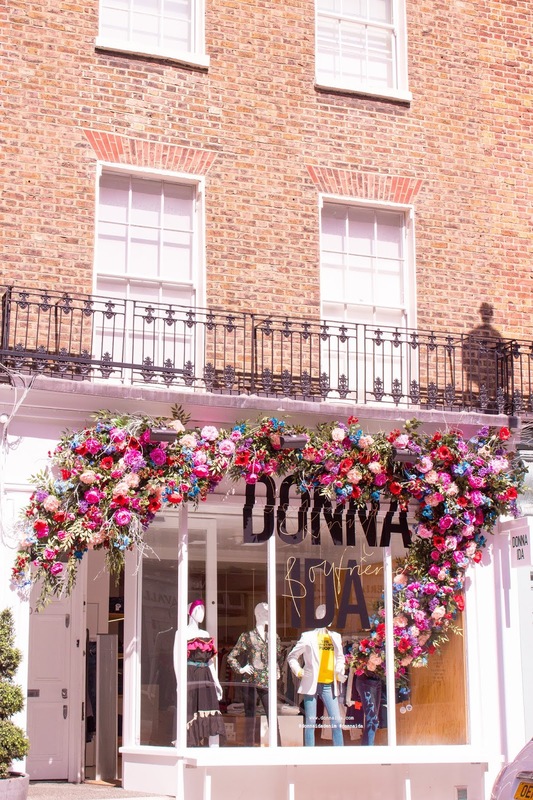 Carnaby Street has smaller shops while Oxford Street is your largest high street in London. You got Topshop, Primark, and all of those sort of store located here. Another great shopping areas is Covent Garden. Not only does this place have great shops, but it is also gorgeous! You can't go wrong with any of them. If you are looking for a less touristy shopping experience Carnaby Street and Covent Garden are the way to go. That is everything for my short 1 day London itinerary! 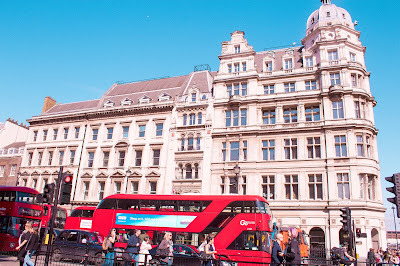 I am still working on the massive post that is my overall London suggestions. There is just to much to talk about to be honest! But, if you are doing a short day trip or even two day trip this itinerary could work for you. Please leave any London questions you have in the comments below! Happy travels!